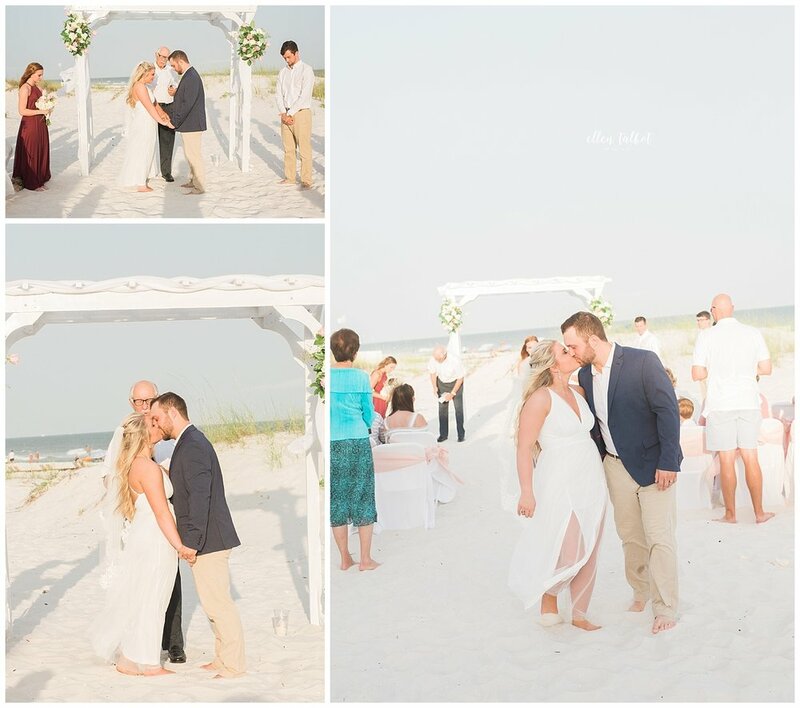 Connor and Mary Madison had the most beautiful beach wedding surrounded by their closest friends and family. I love intimate ceremonies and how genuine and real they are. The people witnessing yours vows are the ones who will be there in the good times and the hard times, and there is something so sacred about that. I have known Mary Madison for a while and love her parents so much, so when I arrived I felt like I was at a family wedding (which I love!). 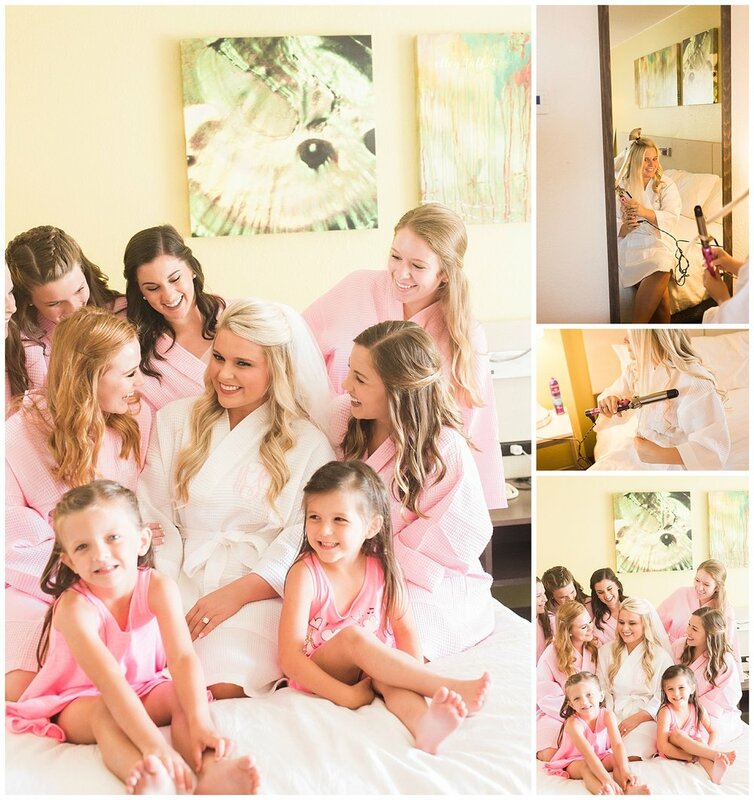 I immediately got to work shooting her details as the girls all finished getting ready in their hotel room. She had some of the sweetest ladies ever standing with her that day and getting to hang with them was a special treat for me. Speaking of details, can we talk about her ring?? Connor please feel free to offer some sort of class to other men who are picking out engagement rings. It is stunning! I am a big fan of two things happening in these pictures: Gianni Bini and blue shoes on a wedding day. She wore blue Gianni Bini shoes and HELLO I'm here for it. Slow clapping these adorable heels. She wore the most beautiful and flowing dress, exactly what you would imagine at the perfect beach wedding. Her veil and bouquet added to it (plus her obvious joy to be marrying Connor) made her a dream. I stole a few minutes with the guys before the first look and in true groom and groomsmen fashion, they were cool as cucumbers. As I was walking Connor outside for their first look I could tell he was absolutely itching to see her. He has loved Mary Madison for quite some time and marrying her has for sure been on his to-do list for a while now. The deep love Connor and Mary Madison have is so genuine and easy to see, I loved stepping back and watching their first look unfold. Laughing and talking, it is so natural the way they love each other and I adore that about them! Mary Madison's grandfather walked her down the aisle, past rows of family and friends, to her new husband and partner. So many jobs in this world can become mundane and ordinary, but I am here to tell you the overwhelming joy of a bride walking down the aisle to her groom will not ever get "old" to me. It's impossible. The sun was setting and the weather and waves couldn't have been a more perfect backdrop for their heartfelt vows and first kiss as a new couple. 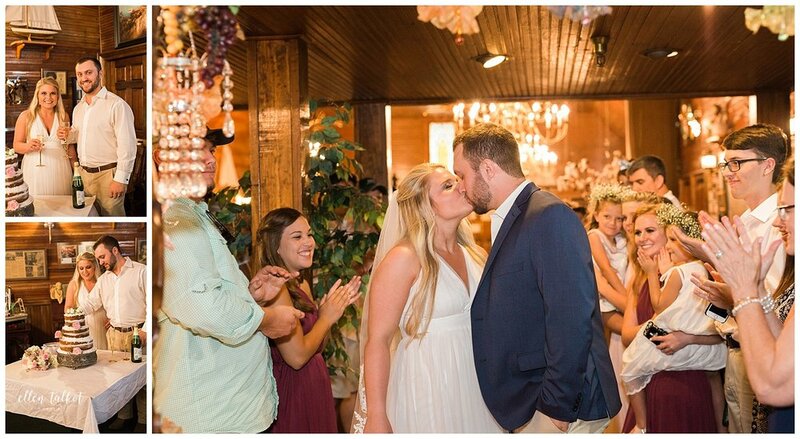 After the wedding everyone attended a reception at The Gift Horse in Foley, AL and it was phenomenal. The food (and desserts!) were out of this world and everyone had the best time celebrating this precious couple. The food was enjoyed, the bouquet was thrown, the cake was cut, the mamas were hugged, and it was time to wish them well and send them off! I think the joy in the sendoff picture says more than I ever could. Mr. and Mrs. Fitzgerald spent a week relaxing in Orange Beach for their honeymoon and it was well deserved. I couldn't be happier for Connor and Mary Madison and this new life they have started together, I was blessed to be a part of their day!